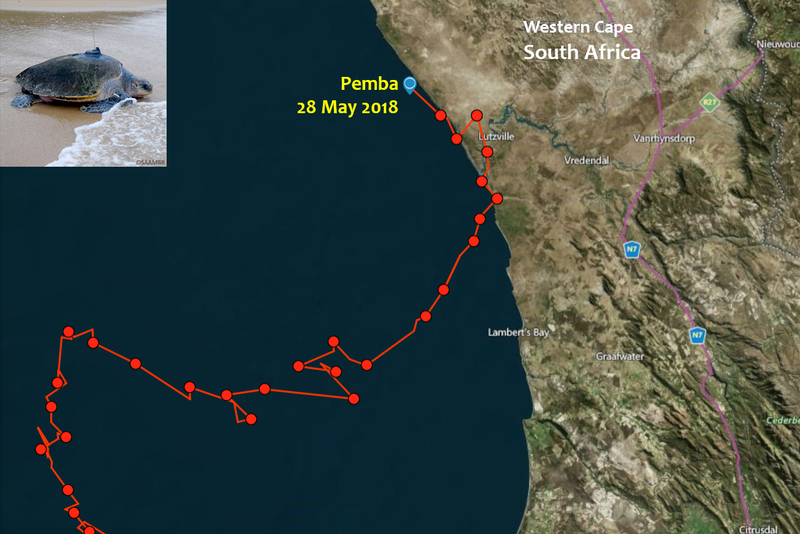 We (uShaka Sea World and the team at Two Oceans Aquarium) have kept a close eye on Pemba over the past few days. 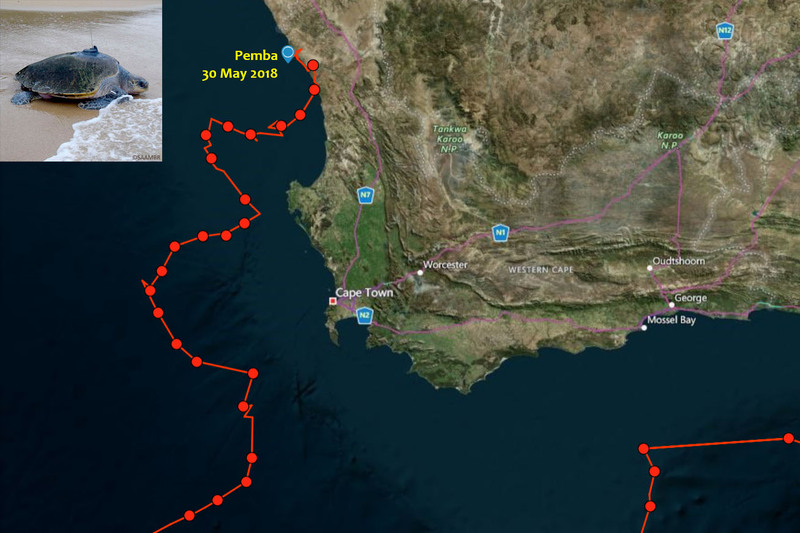 We are happy to report that she is in the ocean – she did not swim upriver, travel by car or visit a farm! 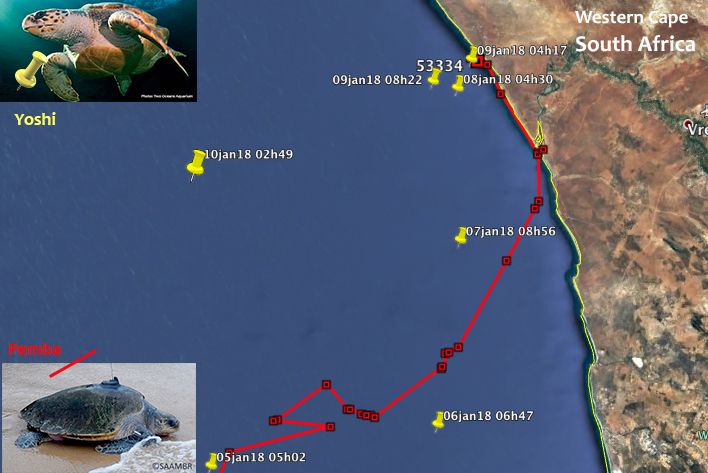 On 16 December 2017 the Two Oceans Aquarium released Yoshi the loggerhead turtle back into the ocean, also fitted with a satellite tracking device. 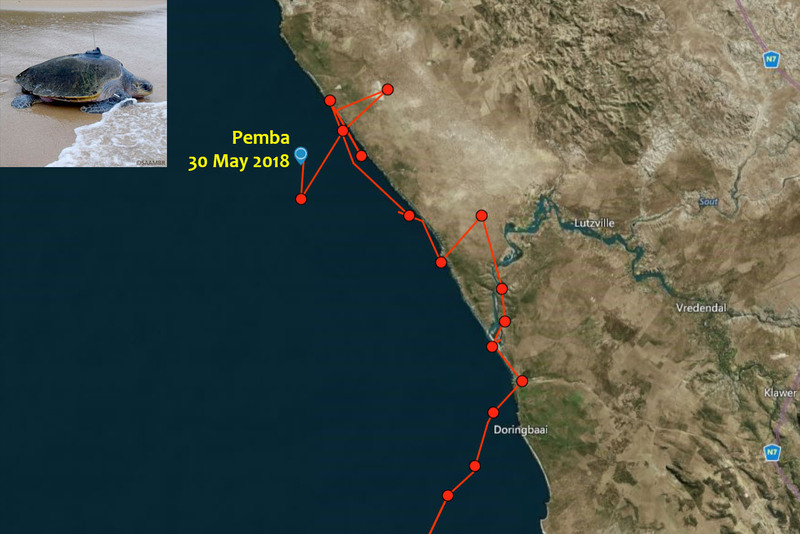 Interestingly, you can see from the second image below that Pemba is following a similar route as Yoshi earlier this year. 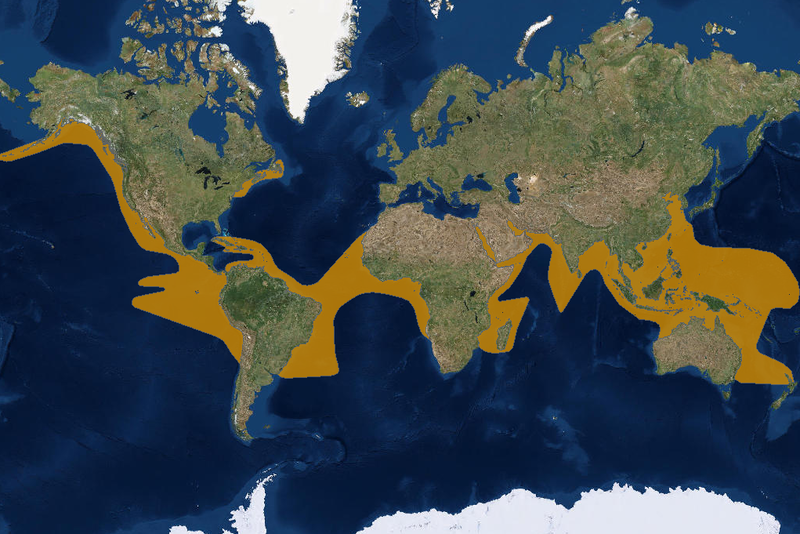 Thank you to Maryke Musson, Curator of the Two Oceans Aquarium for the comparative track between Pemba and Yoshi’s routes.